My family and I arrived in Rome on Sunday and hopped on the Segways on Monday! It was, no question, the best tour we had of Rome! Everyone from my nephew (age 12) to my Mother (age 70ish) had a GREAT time! Our guides, Roberto, Arturo and Mosha, were excellent! Funny, informative and safe! I recommend this tour to ANYONE who is visiting Rome!In fact I already have! Thank-you! Marco was a great guide and made my trip here even more of a great memory. I got to see alot of Rome quickly and in on an amazing segway. This was my first time on a segway and it scared me for like the first 5 minutes and then hours of relaxed viewing of Rome. We were on the evening trip and it felt safe and the sights were beautiful. Thank you!!! We had such a great time. The intro to the segway was very good and we had plenty of time to get comfortable on them. Then we started going all around Rome!! We have already recommended it to friends and family. It is totally worth it to see Rome in a different way. Thanks for such a great experience. We can’t wait to come back and do a different tour with you guys! Hi, I’ve enjoy a long tour in Rome by segway, early i think it’s hard for me but i try and really easy take a ride and fun with segway. So I say run and looking for Marco very positive guy and take a ride with him. Enjoy!! It was a real pleasure for us all to meet your wonderful family. We enjoyed it as much as you guys . 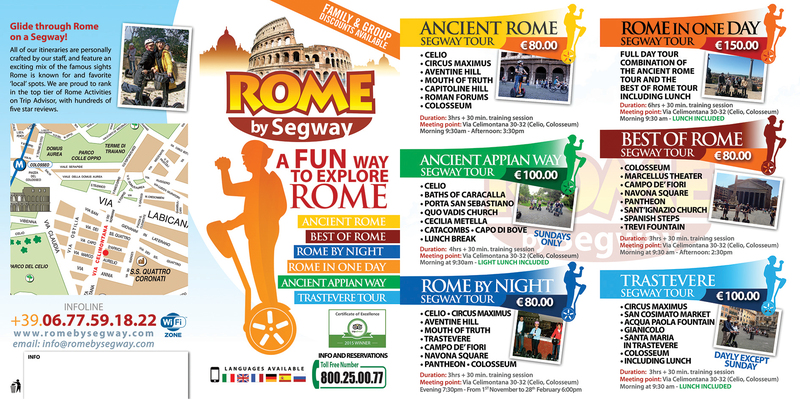 Thank you again choosing Romebysegway ! I first contacted RomebySegway via email last year trying to plan something different for our sons 17th birthday. I received an immediate response from the Rome crew. We had 12 family members I was wanting to book in for the night tour. A week before we left for our Italy holiday I emailed to confirm our booking and to ask if they could recommend somewhere I could get a chocolate cake to have somewhere along the tour. The next day an email confirmed our booking, exact words ”booking confirmed, chocolate cake and 17 candles, consider it done !”. Mario and his team were Fantastic !!! 12 of us ranged from 11 yr old to 71 yr old, we had 2 guides because of the size of our party. The night tour, end of June was perfect. clear warm night, loads of fun, the pizza at our halfway stop was delicious… and of course the cake….ALL 4 of them.. and candles, exactly what was promised. The RomebySegway tour was definitely a highlight of our trip. Everyone enjoyed it so much they did it again in Florence! “RomebySegway” and will continue to. You helped make Mitchell’s 17th a memorable one. We had a wonderful Sunday on the via Appia tour. Mario and Vittorio had a lot of stories to tell along the route, and were both so friendly. The distance you cover in a few hours means that there is no may you could cover this by foot during some morning hours. We can difinetly recomennd it and will certainly return on our next visit to Rome. We book the Imperal tour with Marcelo. After the training we start the tour. Our guide told us a lot abaout Rome and his people. Marcelo show us some special place with a wonderful panorama. We have a lot of fun. 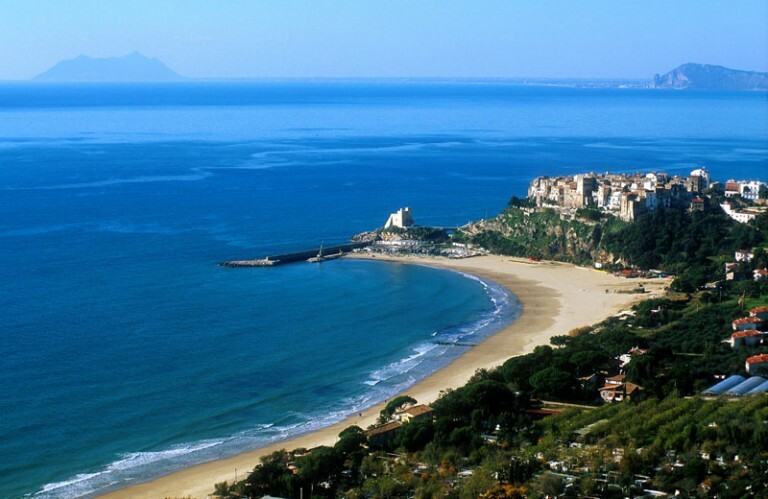 On our next trip to Rome, we will book the tourt agin. Thanks to Marcelo.